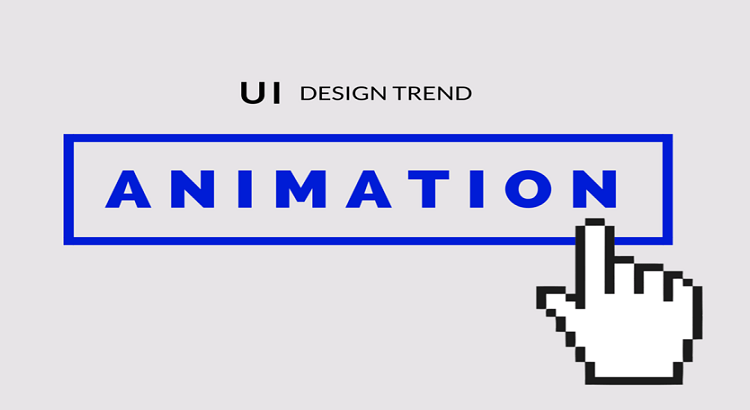 Looking through the existing UI design trends, you will come to know that a major revolution has come ahead in the form of animation. Across all major applications, animation has come out as a trend that has seen exponential growth. There was a time when the only attributes that together created a great user experience were visual design and functionality. But now, more than this, it is the way things move when using web or an application that matters. The main reason for why animation has seen a drastic growth in 2015 is the availability of tools that improve User Interface workflow and also manage to pump up the performance for browsers and on devices. If you think that inclusion of animation in design is a relatively new phenomenon, you are probably on the wrong track. It is indeed nothing new and has been a part of the interface design since long. The fact is that animation has garnered certain attention this year owing to the need for a better user experience. When it comes to adding creativity to the existing platform, animation acts as a breath of fresh air. Animation inculcates a well planned movement that actually lets the user reach the destination in an interactive way. When you make use of animation, you are actually offering the users an opportunity to play up a little with the visuals while navigating the website or application. This would make the overall experience worth appreciation and engaging. But, this could go in opposite direction when the animation or transitions that you have used, are actually distracting the user from the main content. For a good digital experience, it is important that you maintain the right balance between animation and content. The main condition that applies in this case is that one should know how to match the movement of content in a way that it manages to lure in the users to go ahead with navigation. You should use them in a way that you manage to depict the entire story or message through transitions and motion-based animations. – “Perceiving an object’s tangible form helps us understand how to manipulate it. Observing an objects motion tells us whether it is light or heavy, flexible or rigid, small or large.” This particular principal would be very helpful when it comes to designing menus or other visual elements. – “An abrupt change in velocity at both the beginning and end of the animation curve means the object instantaneously starts and stops, which is unrealistic.” This states that the when designing interfaces, you will have to maintain a balance with the movement. – “The most basic use of animation is in transitions, but an app can truly delight a user when animation is used in ways beyond the obvious.” Make sure you are surprising the users while introducing something unexpected such as menu icons that convert to an arrow or anything that allows smooth transition.